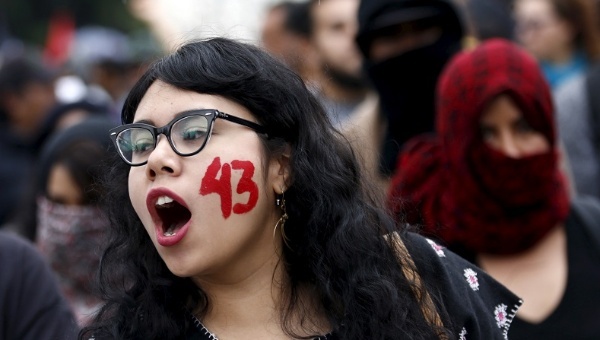 Journalist John Gibler investigates the disappearance of the 43 students at Ayotzinapa. A year has passed and we still do not know the fate of the 43 rural college students from Ayotzinapa forcibly disappeared on Sept. 26, 2014 in Iguala, Mexico. We do know now, however, more than we did last year. 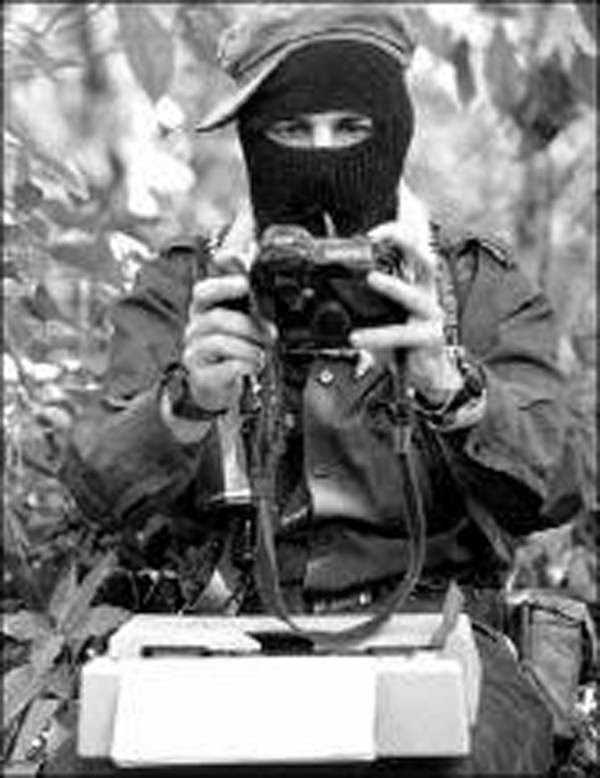 We know that the police attacks against the students lasted more than three hours, took place at nine different locations in and around Iguala, involved officers from municipal, state and federal police corps, resulted in six people murdered, 40 wounded—one of whom remains in a coma—, and 43 disappeared. \We also know that the government has amassed a case file totalling 115 volumes and accused 82 people, but mostly based their investigation on three mutually contradicting confessions. A recent report by an independent group of experts appointed by the Inter-American Commission on Human Rights—the group is known in Mexico as the GIEI for their Spanish initials—debunked the government’s conclusion that gangsters confused the students for members of a rival drug trafficking gang, sent the Iguala police to capture and hand them over, and then drove them out to an isolated trash dump in near-by Cocula, killed them and incinerated their bodies on a trash and wood pyre that burned until 5 pm local time the following day. The GIEI’s fire expert, José Torero, a Peruvian with a Ph.D. from UC Berkeley, concluded that to generate the heat necessary to incinerate 43 human bodies at the Cocula trash dump, the fire would have needed 30,000kg of wood, 60 hours to burn and would have raged so high as to have set the entire dump and surrounding forest aflame creating a plume of smoke 300 meters in the air and radiated such intense heat that anyone who approached close enough to throw more fuel on the fire—as the confessed witnesses claim they did—would themselves have been singed beyond recognition. I travelled to the Cocula dump several times over the past year. Twice I spoke with Cocula municipal trash workers. The two men who worked on Saturday, Sept. 27 last year both told me that they went to the dump around one in the afternoon—when the killers’ fire would have still been blazing—and deposited the trash there without incident. There was no fire. No one was there, they said, and the area was still wet from the previous night’s rain. The GIEI’s conclusion that the 43 students were not incinerated at the Cocula trash dump on Sept. 27, 2014 is thus supported not only by forensic analysis, but by two eyewitnesses (not to mention hundreds of Cocula residents who could not recall seeing high plumes of smoke in late September). Yet the government insists on pushing the Cocula theory, twisting and ignoring evidence, as in Attorney General Arely Gómez’s recent false claim that a second student’s remains had been positively identified. This insistence on the trash dump scenario has diverted attention from witness testimony and documentary evidence of Guerrero state and Mexican federal police participation in the attacks against the students. Over the past year, I interviewed more than 30 survivors of the attacks in Iguala. Several witnesses identified state and federal police participating in the attacks at four distinct locations over a period of several hours. The GIEI report confirmed these testimonies, though that confirmation has largely been unreported, overshadowed by the debate over the trash dump. The GIEI report goes further, citing testimony from the case file by two civilian-dressed military intelligence officers who told state officials that they observed the attacks at the two locations from which the 43 were disappeared. These facts alone—state and federal police participation in and military observation of the attacks—undermine the federal prosecutor’s story of gangsters confusing the students for a rival gang. The GIEI report also revealed major flaws in the government’s investigation: crime scenes that were never analysed; suspects that were very likely tortured; essential witnesses never interviewed; security camera footage of one of the sites of the forced disappearance that was retrieved and destroyed by an unidentified official; clothing found at the crimes scenes that was never analysed; and, perhaps most astoundingly, a missing bus. For months both the Mexican government and the press reported that police attacked the students aboard four commandeered buses. That is incorrect: the students travelled aboard five commandeered buses that night. This fact is of fundamental importance first, because police took the 43 disappeared students from two buses (not one, as originally reported) at two distinct locations in Iguala. At one of those locations—beneath an overpass, just in front of the Iguala office of the Guerrero state prosecutors—numerous witnesses identified federal police participating in the disappearances. The location of the bus from which the police took them is visible from the very security camera from which the footage of that night was mysteriously retrieved and destroyed. It is also important because the GIEI report revealed that the other bus at that location, what they call the fifth bus, about 100 meters away from the overpass, is missing. This conspicuous absence both in the case file and in real life led the GIEI to propose a possible motive to explain the complexity of the attacks and the overwhelmingly disproportionate use of violence against the students that night: the sandal and t- shirt-clad young men from some of Mexico’s most destitute regions had unwittingly commandeered a bus carrying a major heroin shipment en route to the United States. If this hypothesis were to be proved true, it would be a searing indictment of both Mexico and the United States’ so-called war on drugs. For here we would have a case showing that when a major drug load is placed at risk, whom do its caretakers call to save it? The State. Not just the local “corrupt” cops, but also the state and federal police all acting in coordination and with military intelligence watching on. This would give new meaning to the Ayotzinapa protesters’ constant chant: Fue el estado, (The State did it). John Gibler is the author of Mexico: Unconquered: Chronicles of Power and Revolt.